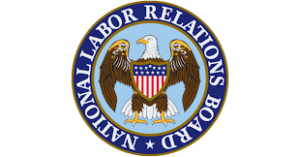 On May 9, 2018, the National Labor Relations Board announced an interesting development regarding two key ongoing issues, i.e., the Board’s joint-employer standard and the alleged conflicts of interest of Member William Emanuel. This announcement also sheds light on how the Board may change other areas of federal labor law in the future. As many will recall, in 2015, the Board created a new and employee-friendly test for determining whether an entity will constitute a “joint employer” under the National Labor Relations Act by receiving services from another entity’s workers. Last December, the Board – and its new Republican-appointed members – overturned this employee-friendly test and reinstated the prior standard. This late 2017 decision drew criticism because one of the new Board members – William Emanuel – previously served at a law firm that represented a party in the 2015 case. Ultimately, after many criticized Member Emanuel for an alleged conflict of interest, the Board vacated its most recent decision. The Board returned, at least technically, to the 2015 employee-friendly test. This development is noteworthy for several reasons. Although most expected the Board to revisit this issue, at its most basic level this announcement provides more specifics about how and when the Board will do so. (That said, in the interim, it is highly unlikely that the Board will aggressively apply the employee-friendly test.) Perhaps more importantly, this announcement further indicates that the Board – and the Trump administration as a whole – actually might have concerns that Member Emanuel’s purported conflicts actually do impede him from deciding certain cases. This is significant because Member Emanuel’s former law firm has represented parties in myriad different labor cases beyond the 2015 joint-employer case, and the same is true for Chairman Ring. Thus, this might show that the Board will be reluctant to change other areas of law through the traditional approach of deciding cases. Third, it shows that the Board believes it can successfully change the federal regulations themselves to reinstate the pre-2015 joint-employer standard. If the Board believes this will be an effective tactic, it may take the same approach when it addresses other developing issues that appear to be on its radar. Because it would be more difficult for future Democrat-majority Boards to change regulations than to overturn published decisions, this new approach could help the Trump Board protect its decisions from challenge by future presidential administrations.